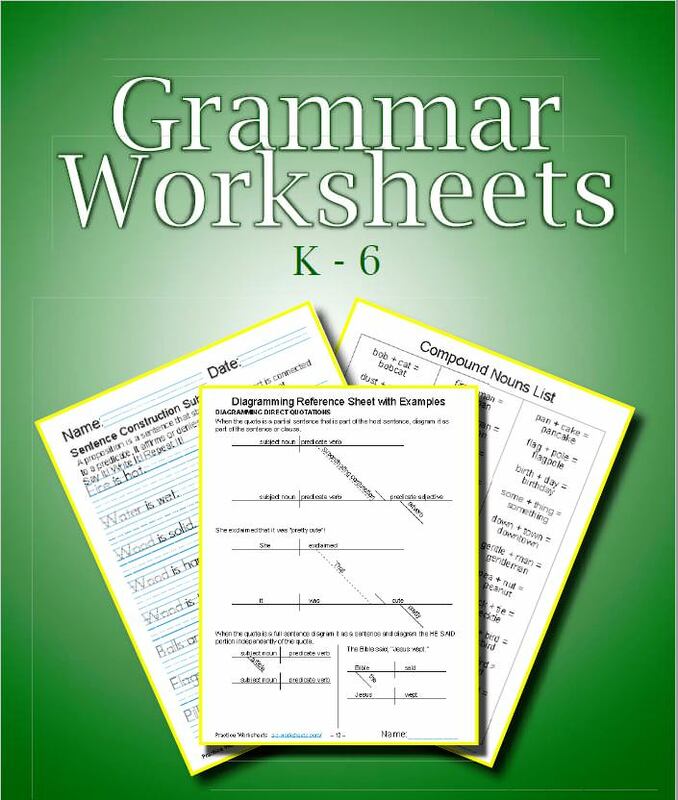 Use these basic K-6 printable Grammar worksheets with our Diagramming charts (included) to help your students understand the definitions and placements of English words in sentence construction. And the rest can also be used as cursive writing practice worksheets. 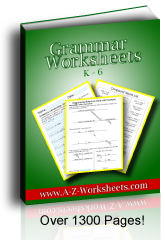 Buy The English Grammar Worksheets Bundle! List of easy English Grammar lessons covered: Abbreviations, Adjectives, Antonyms and Homonyms, Appositives, Capitalization, Conjunctions, Contractions, Diagramming Sentences, Grammar Dictionary, Gerunds, Interjections, Nouns, Objects, Participles, Prefixes and Suffixes, Prepositions, Pronouns, Punctuation, Sentence Construction, and Verbs. Many of these are also offered in cursive writing. Does your program require your students to know the grammar definitions? Copying lists of grammatical terms with the grammar definitions can be very useful once the proper grammar rules and definitions are learned. It's the same as taking notes in a college class. What we read stays with us better if we also write it and even better if we also say it out loud, so I have my students simply copy the definition from the board as I teach it and then we add example sentences that go with the definition. 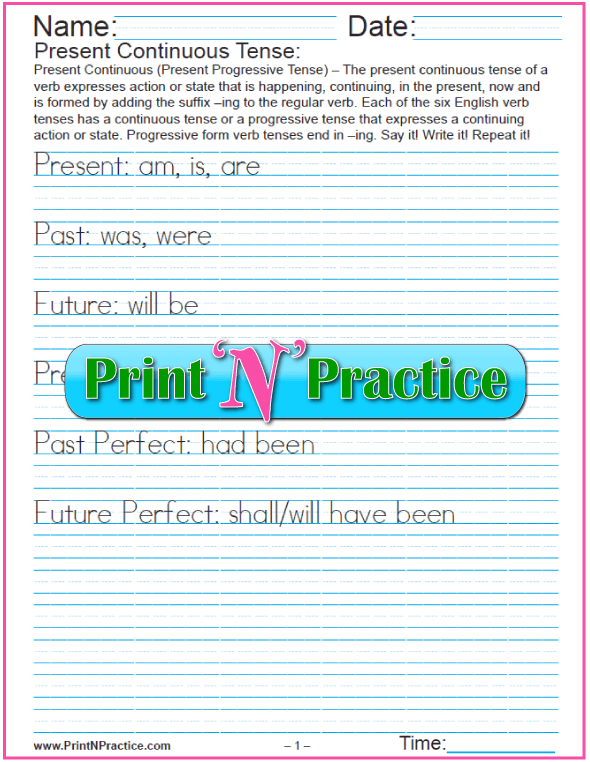 Our Grammar Worksheets are meant to offer grammar practice throughout the elementary education years. The main difference in levels will be the rule of the lines, the length of the lists, and choosing manuscript or cursive. 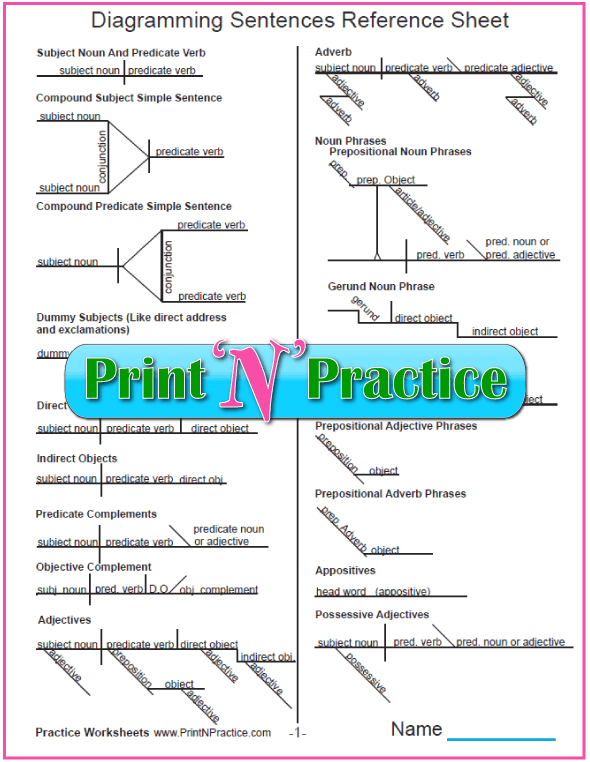 Learning English grammar is much easier with English grammar practice. Teach your children to say the words as they copy the sentences. This is how natural English speakers learn that a thing "sounds right". They hear it said well over and over again. Once your kids have a chance to practice writing their sentences; they'll gain confidence with punctuation and capitalization rules, as well as spelling and handwriting practice. Bonus! Many of these worksheets have the part of speech grayed so that your kids can understand which word is being studied. 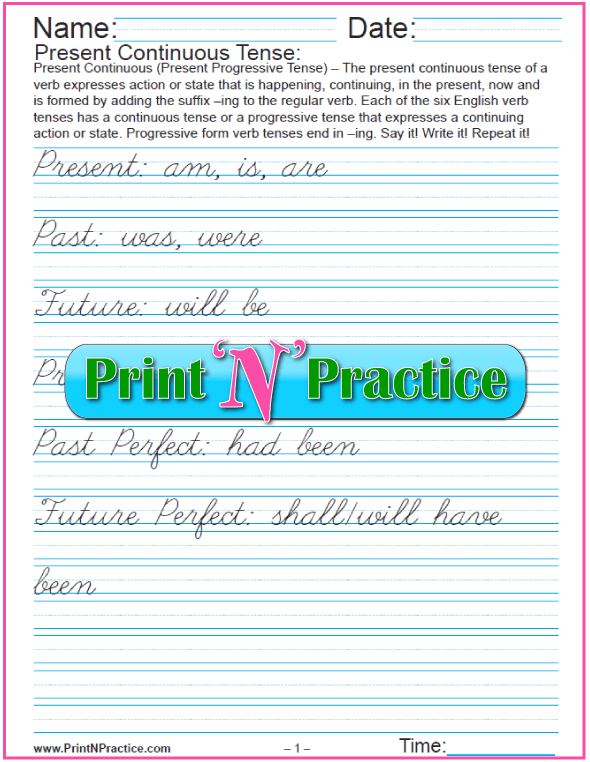 These worksheets are excellent for ESL English grammar exercises.